I love grapefruit, especially when it is ruby red and doesn’t need a sprinkle of sugar. So Yummy, I just love it! Recently someone asked me, while I was cutting into my grapefruit, if I was eating a blood orange. 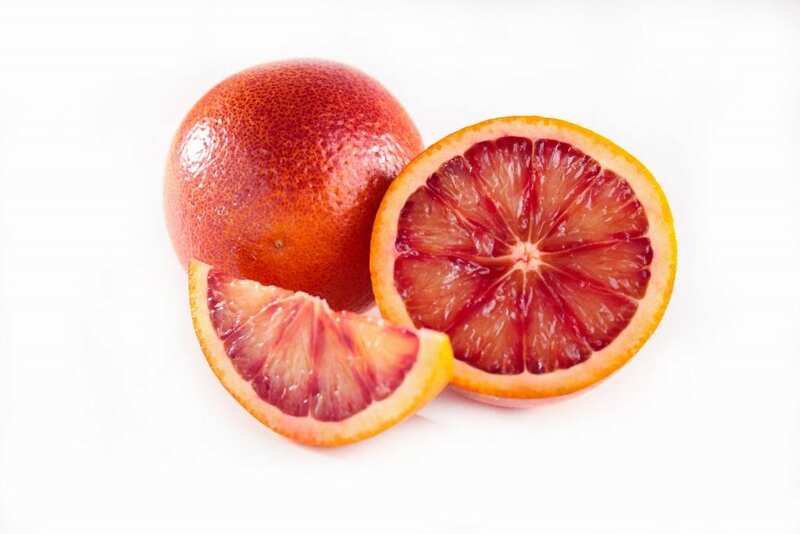 Michelle at Bleeding Expresso did a wonderful job helping me reduce my produce ignorance regarding Blood Oranges. “As the name suggests, blood oranges are red in color, sometimes in splotches on the outside but definitely on the inside. The concentration of the red inside depends on the particular type of orange and growing conditions. Squeezing them is when you truly understand where the “blood” reference comes from: the juice resembles the ruby red of a cranberry as opposed to the yellowish tone of orange juice. So when is the best time to get this vibrantly colored fruit? Wonderful! So when I get my order of blood oranges, what am I going to do next? Personally, I love smoothies so I’m going to try this Blood Orange & Strawberry Smoothie. But wait, this Blood Orange Chicken looks good too! Oh My! These ideas and others from Julie R. Thompson at the Huffington Post also look fun to try. Have fun storming the kitchen to Eat, Live & GoFresh!